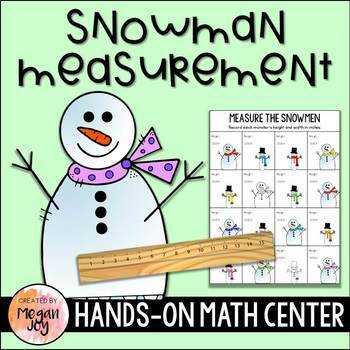 Students will measure the width and height of different sized snowmen with this hands-on math center or lesson activity. 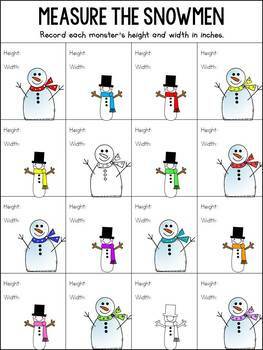 This activity is versatile as students can round their measurements to the nearest inch or centimeter, or they can include fractions for a more advanced exercise. 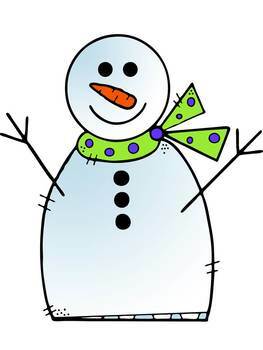 Simply print, cut, and laminate the snowmen for repeated use. This can be used as a measure the room activity, or the recording sheets can also be laminated and used with dry erase markers.